Sitting elegantly and gracefully at the core of Pulau Lang Tengah is an unusual and amazing sight wishes to be discovered by many. From the mesmerizing landscape to the sense of tranquillity that many are longing for while being pamper under the warmth of the sun and the cooling whispers of the breeze is what you can find here at Sari Pacifica Beach Resort & Spa Lang Tengah. Having a proud setting that is flourish with lush greeneries while housing some of the most exotic and unusual flora and fauna, at the same time highlighting the beauty of its surrounding, adds a hint of cultural sense to the whole tranquillity mood with our resort's unique architecture. Resembling somewhat like traditional Malay home, which is plastered with style and sophistication, our resort offers a whole new vacation expedition unlike others. Clustering among the white sandy beach that is further complemented with crystal clear seawater and a lavishness of lush greeneries makes our resort a must visit place when you're here at Pulau Lang Tengah. Displaying a sense of peace to its guests, all hotel guests will be amazed with what we have to offer. Unlike other spa resorts, all of our guest rooms are built in a villa form that allows great privacy for all hotel guests, from the basic room to Garden Villa or Pool Villa. As for love birds that are here on honeymoon, we will send them on a journey to the much loved Seafront Villa where the mesmerizing scene of the sea along with its horizon can be view at all times. Such will instantly hype up the whole romantic getaway for the newlyweds; truly a dream-liked heaven for many. 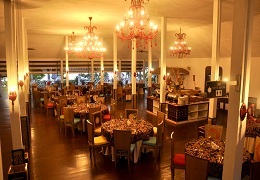 Beyond the core of our resort lay the most prominent hang out and dining spot around, namely the Kayu Manis Restaurant. Here, guests will be feed with scrumptious local and international cuisines from dawn to dusk. The signature dishes from our top chef further highlight the beauty of 'East meets West'. Guests will be entertained with authentic dishes and yummy delicacies that will challenge each of their taste buds. 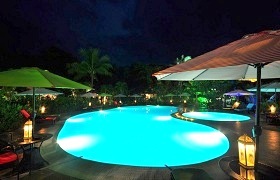 When nightfall, hotel guests can then retreat to the swimming pool terrace or caf¨¦ for a drink or two. To top the brilliant architecture and excellent service of Sari Pacifica Beach Resort & Spa Lang Tengah, we too offer a wide variation of activities such as beach volleyball, beach futsal, fishing, island hopping and many more. Taking advantage of the lush rainforest that is located next to our resort, we too challenge hotel guests to embark on a jungle trekking voyage to the core of the forest in searching for more heart pumping and adrenalin rushing memories. 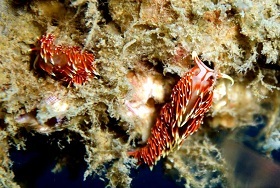 What's more, having a solid foundation that sits on an eco-friendly branding, at the midst of the best marine park around makes Sari Pacifica Beach Resort & Spa Lang Tengah the best portal that offers excellent snorkeling and scuba diving expedition; which in turn attracts a vast population of tourists into our core. After all the long and tiring activities, we offers a great rejuvenation course for your worn out body and soul, at the Sari Dewi Spa, which is located just right down the corner from the main entrance. Upon setting foot into the spa compound, you will be greeted with a strong but relaxing aroma that can instantly calm you down. Besides, to embark on a different massage treatment, we too offer private massage session under the warmth of the sun and the cooling breeze, which is topped with the breathtaking view of the sea in our outdoor gazebos. 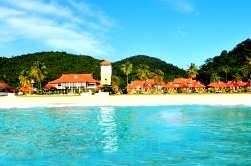 Therefore, to embrace all the excitement Sari Pacifica Resort & Spa Lang Tengah has to offer, don't forget to book now!